Up until, the members of Janelle Monáe’s Wondaland Arts Society have been mostly known as the cool-looking, well-dressed gentlemen who dance behind Monáe in videos. That’s not a bad lane, all things considered. But this spring, Wondaland will release an as-yet-untitled compilation that will allow all these guys to shine on their own. 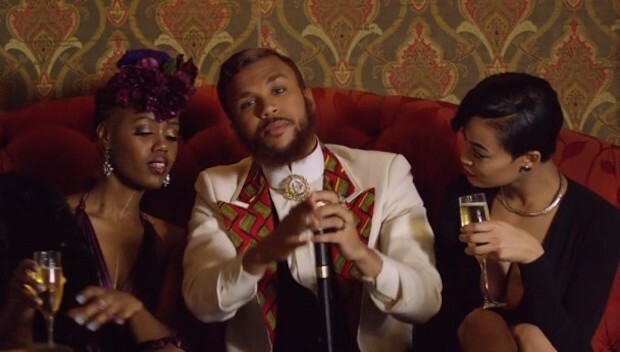 First up: Dapper, red-bearded gentleman Jidenna, who’s coming with the clipped, slick electro-soul single “Classic Man.” The video, from director and Solange husband Alan Ferguson, gets into some dubious respectability-politics stuff, with Jidenna saving be-hoodied youth from police harassment by teaching them chess and kung fu. But the dance party footage, with everyone done up in psychedelic Harlem Renaissance finery, is a thing to behold. Check it out below. The Wondaland Arts Society compilation is coming in May.